Immersing prospects in memorable experiential print. When looking to make a serious impact on consumers and event attendees you have to create a serious experience. C2 Imaging approaches experiential marketing hand in hand with our clients, bringing new ideas and trusted experience to the table. When it comes to executing your immersive branded experience through print, we are the only partner you need. 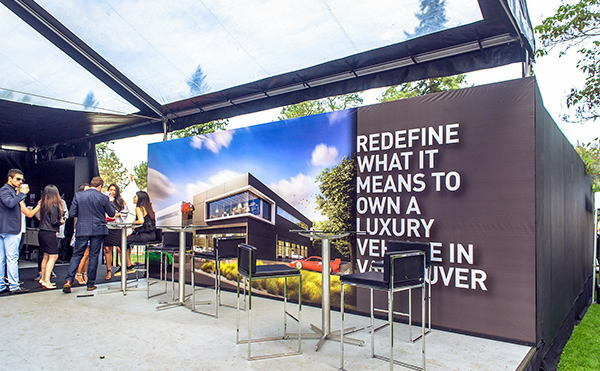 For the Experiential Marketing & Events world, we offer complete amenity graphics and special event solutions, including; building wraps, fabric structures, floor graphics, wall murals, column wraps, wayfinding signage, and so much more! Always on brand, on budget, and on time.